William Melton was elected to the Board of Trustees in Oct. of 2006 and served as Secretary before becoming President. Mr. Melton is a long time resident of San Diego. Professionally he played an influential role in the Grossmont Union High School District. He received his Bachelor’s Degree from San Diego State University in Sociology while also completing a teaching credential in Social Science in 1977. After completing his Masters Degree in Educational Administration in 1980 he was employed in varying administrative positions until he was named Principal of El Cajon Valley High School in 1996. During his tenure as Principal, Mr. Melton implemented a major curriculum redesign that achieved national attention and elevated student achievement. Mr. Melton has been retired since 2004. Both his children are married to German nationals and he is the proud Grandfather of four grandchildren who are being raised in a German/English bilingual setting. Maria Ortega has more than two decades of experience in the field of Sponsored Research Administration. She has extensive knowledge of the field of proposal preparation and review, including budget development and final editing of proposals. Her background provides a significant contribution to the AEA Board of Trustees in the areas of institutional memory as well as her ability to review and consider the impact of budgetary decisions. Mr. Christopher Beesley earned his Bachelor’s degree in Piano Performance from Brigham Young University in 2001. He then completed his Juris Doctorate in 2004 at the University of San Diego. Mr. Beesley serves as an appellate criminal prosecutor with the Office of the Attorney General. In his work he has regularly argued cases in the California Courts of Appeal, the California Supreme Court, and the Ninth Circuit Court of Appeals. Mr. Beesley joined the Board of Trustees in 2009 and currently serves as Secretary. Because of his legal background and training, Mr. Beesley provides a measured analytical approach in understanding the challenges AEA faces. He also seeks carefully to find solutions to those challenges as AEA continues to progress. Mr. Beesley has been a long-time AEA parent, and consequently has a personally vested interest in ensuring that AEA continues to provide the best education possible for all students. Dr. Rebien is Associate Professor of German and European Studies at San Diego State University, and she directs the German Program at SDSU. She earned M.A. degrees in Political Science and German from the University of Leipzig and a Ph.D. in German Studies from Stanford. Before coming to San Diego State, she taught at Princeton University. She feels passionate about supporting AEA’s international mission and enjoys bringing her professional experience in language education and cultural studies to the board. Dr. Rebien currently has two children at AEA. Rudd Schoeffel graduated from Occidental College, Los Angeles with a B.A. in Philosophy. He later graduated from Oxford University with an Honours Master’s in Philosophy, Politics, and Economics. Mr. Schoeffel’s grandson graduated from AEA. J. Mody is a Deputy District Attorney with the County of San Diego. He is currently assigned to the Family Protection Division, where he prosecutes domestic violence and child abuse cases. Having taught and volunteered at schools throughout San Diego, Mr. Mody recognizes the dire need for excellence in education and within our public school system. His background as a prosecutor, teacher, and mentor assists the Board by providing the necessary perspective to all AEA to continue to grow and excel. According to California Law, the Board of Trustees of the AEA 501c3, non-profit school corporation, has the primary and personal fiduciary responsibility and programmatic accountability for the operations of the AEA schools to State agencies. Additionally, they are charged with the oversite of the implementation of the approved school charters. 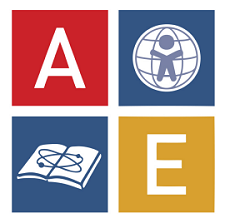 The Albert Einstein Academies Board of Trustees consists of three to seven individuals who have the skills and experiences that benefit the development of the AEA schools. THE AEA BOARD OF TRUSTEES COMPLIES WITH THE BROWN ACT WHICH IS AN OPEN-MEETING LAW THAT APPLIES TO CALIFORNIA CHARTER SCHOOLS. YOU CAN ACCESS BOARD MEETING AGENDAS, MINUTES, AND RELATED DOCUMENTS THROUGH OUR BOARDDOCS PORTAL. YOU DO NOT NEED TO SIGN IN TO VIEW THIS INFORMATION. Click HERE to see Board agendas. ACHIEVEMENT GAPS: Staff will strive every day to eliminate achievement gaps between student subgroups. Leadership will develop a data monitoring system to analyze and allow teachers to intervene and support students based on a range of useful student data. CULTURE: Staff will enforce student uniform policies consistently as written. The IB Learner Profile continues to serve as our foundation. GROWTH: Leadership is empowered and tasked with opening an AEA high school as soon as possible.